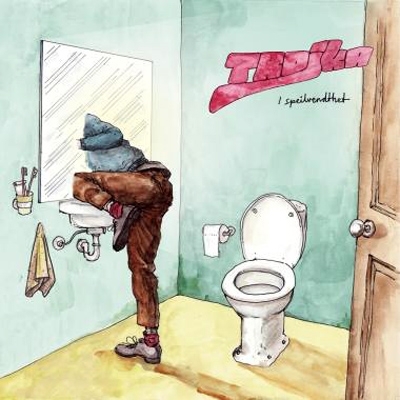 TROJKA from Bergen, Norway are ready with their excellent debutalbum – I speilvendthet (2017). It was studio-recorded by Njål Paulsberg (Young Dreams, Advanced Language, Put Your Hands Up For Neo-Tokyo). The album displays Trojka’s versatility – from groovy, danceable hooks to touching ballads, from jazzy soundscapes to energetic, hectic synth and bass lines in varying time signatures. Their texts are equally varied, encompassing songs from an eclectic dive into video games (the Game), a humorous tribute to the human brain (Food for Thought), and darkly poetic introspection (Drømmeløs, Always a mystery, Until Next Goodbye). The creative lyrics are matched by the cover art by Ronja Svenning Berge. The band cites Yes, E.L.P, King Crimson, Radiohead, The Beatles, Led Zeppelin, Genesis & Neal Morse as some of their influences, but jazz and progressive pop are very much present in their songs as well.